NASA-NOAA's Suomi NPP satellite passed over Tropical Storm Kirk as it was regenerating in the Atlantic Ocean. Because Kirk regenerated east of the Caribbean Sea, warnings and watches were posted for the Lesser Antilles. On Sept. 25 at 12:30 p.m. EDT (1630 UTC) the Visible Infrared Imaging Radiometer Suite (VIIRS) instrument aboard NASA-NOAA's Suomi NPP satellite provided a visible light image of re-forming Tropical Storm Kirk. The VIIRS image showed central convection and forming thunderstorms around the center of circulation. Kirk officially regenerated on Sept. 26 at 5 a.m. EDT as a tropical storm. At that time NOAA's National Hurricane Center or NHC noted "two earlier ASCAT scatterometer [instrument] passes between [8 p.m. and 9 p.m. EDT on Sept. 25] 0000-0100Z on Sept 26 indicated that the low-level center had become a little better defined, and that the inner-core wind field had contracted, now with a radius of maximum winds of about 40 nautical miles. Given the continued increase in the amount and organization of the deep convection, advisories have be re-initiated on Tropical Storm Kirk." 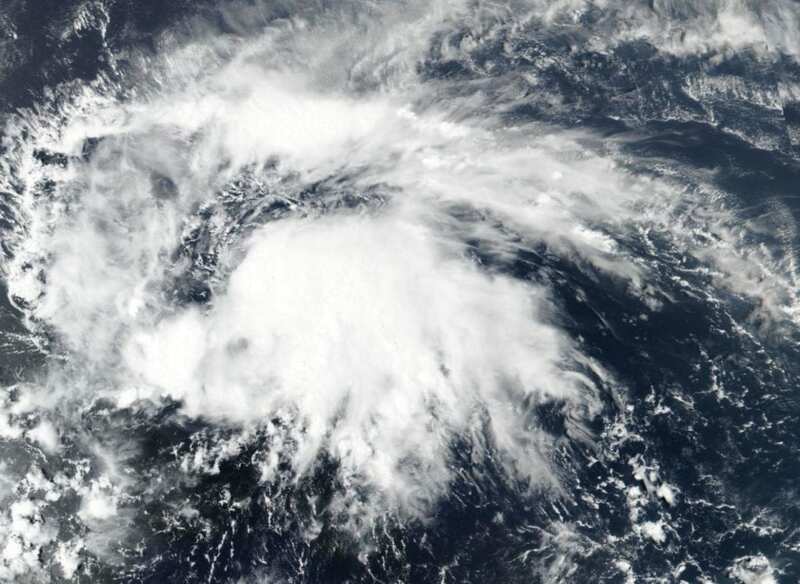 At 11 a.m. EDT (1500 UTC) on Sept. 26 the center of Tropical Storm Kirk was located near latitude 12.1 degrees north and longitude 54.3 degrees west. That's about 360 miles (575 km) east-southeast of Barbados and 485 miles (780 km) east-southeast of Martinique.